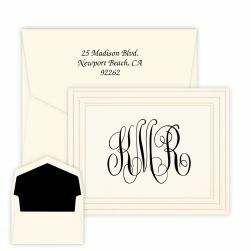 The Montevideo Note - Raised Ink features two new, exclusive lettering styles with one line of raised ink personalization. 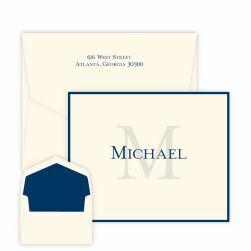 Depending on the length of your name it may print off of the left or right side of the papers edge. 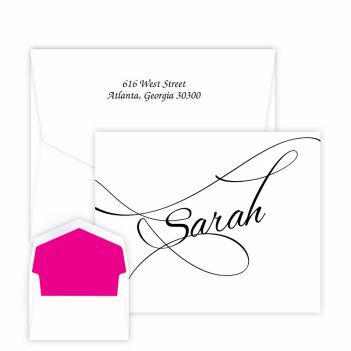 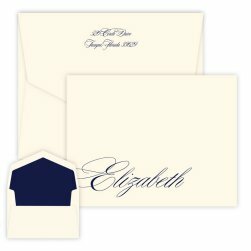 Add hand-inserted envelope linings to make your stationery stand out above all the rest.